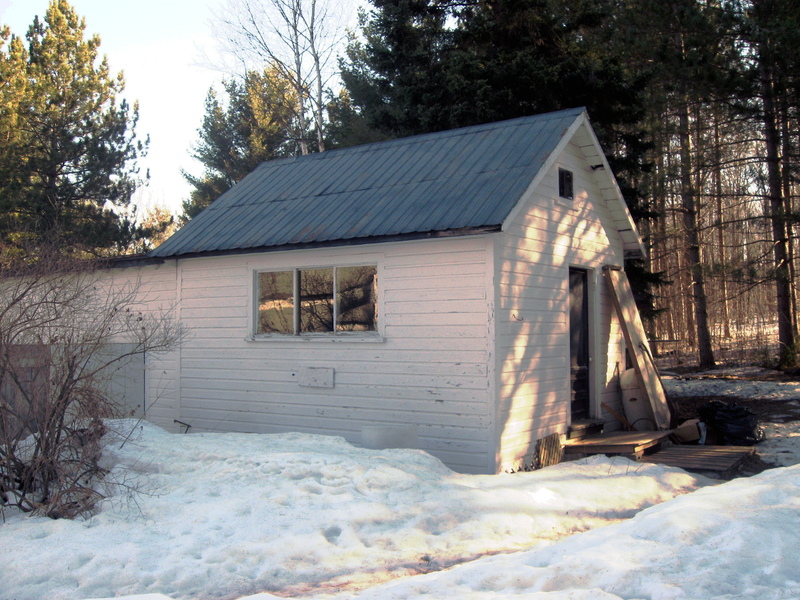 Back in the early spring of 2009 we renovated an outbuilding on our rural propery on St. Joseph Island that would become our “Roasting Shack”. 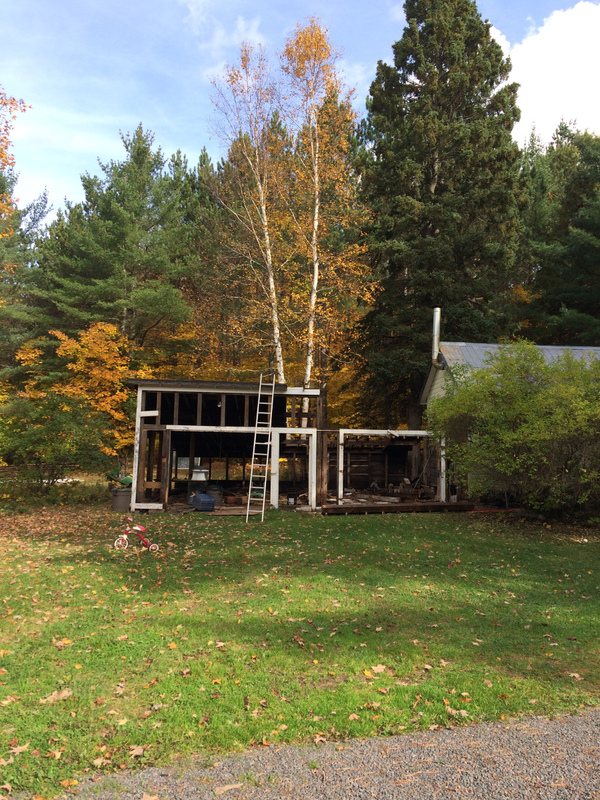 When we purchased our property in 2008 we were told this building had a history as a maple syrup shack, a bunkie, and a work shop. The pictures below show the building was in need of some major TLC, but our vision won out, and we got to work. Porcupines had gnawed on joists thoughtfully leaving an inch or two so the floors were sagging generously rather than collapsing completely. 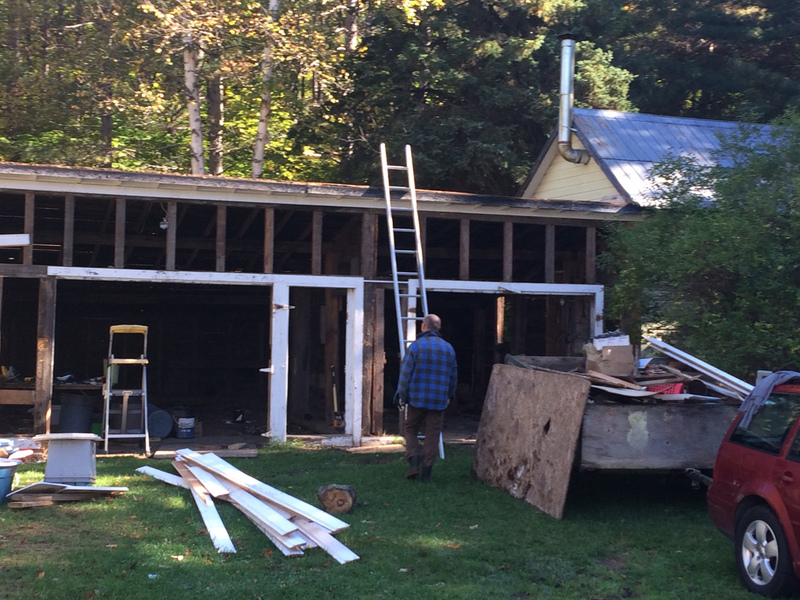 We gutted the walls, replaced joists, and had moments where we decided we were completely nuts and probably would have been better off starting fresh, or purchasing a more practical property that already had an outbuilding more suitable to our needs. We perservered (with help from family and friends), adding insulation and drywall to the walls, insulating the floors and adding infloor heating, installing a new window and door, and eventually some shelving, a sink, a little hot water tank, many coats of paint, and voila, we ended up with a building that carried us through for eight and a half years. During the Christmas season of 2015 it started to become apparent that our little Roasting Shack was reaching its limits for our production schedule. 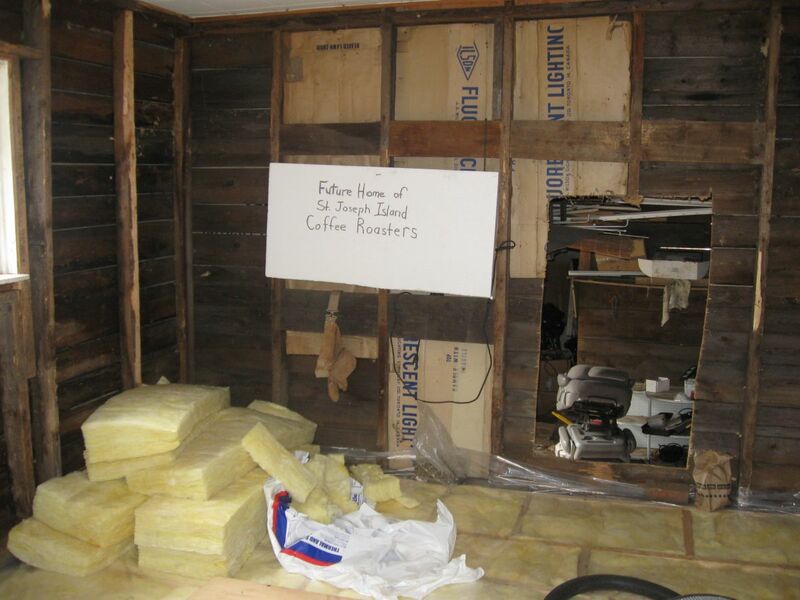 We were “moving on up”, as in every inch of vertical space was now covered in shelves for our coffee and tea. By summer 2016, orders already packaged and even bins of green beans had to be moved out of the Roasting Shack before we could finish packaging the week’s orders. Something was going to have to be done about our lack of space. 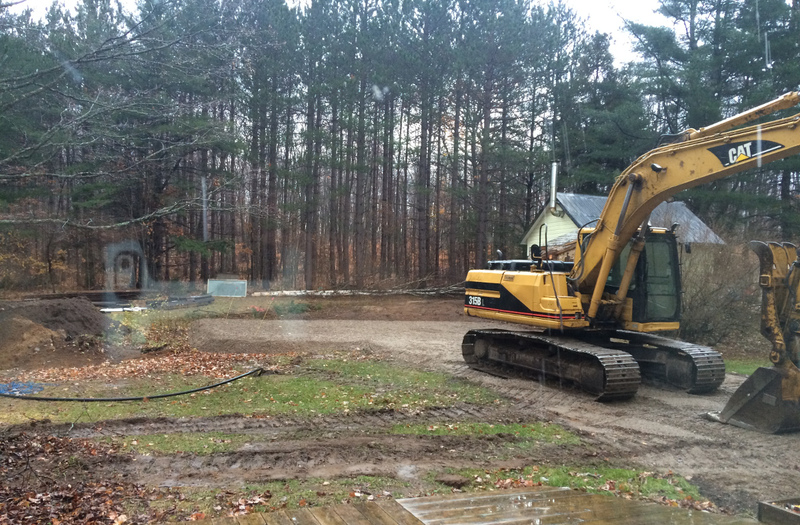 We thought about moving to a different location that already had a suitable building on the property (sound familiar? ), or maybe renting/buying a space for our business away from our home and in a higher traffic area. 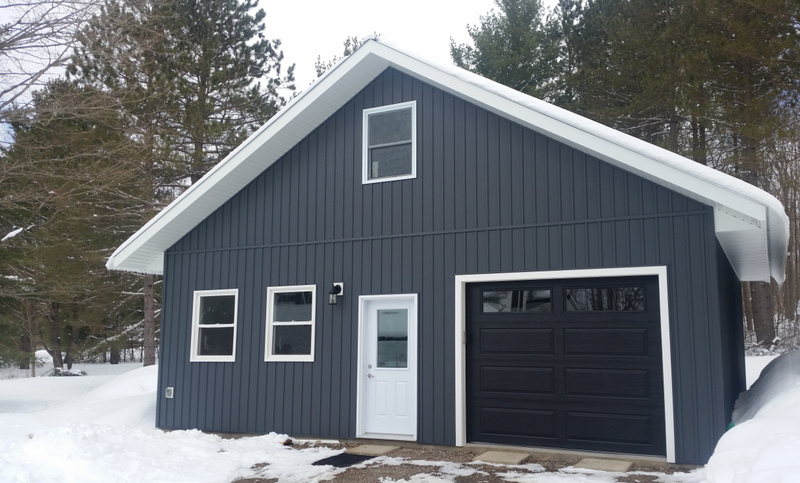 These options may seem like they would have been more logical to someone not in our shoes, but I think we’ve mentioned before that we’re “follow your gut” rather than logical people, and ultimately we decided to stay put and expand on our rural property. 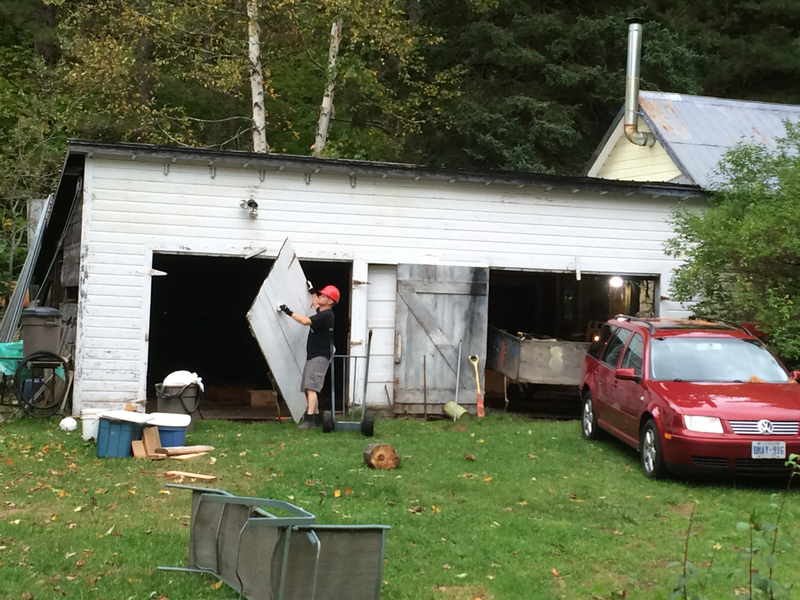 Attached to our little Roasting Shack was an old “garage” that had a dirt floor and a very sloped roof. Another renovation was out of the question. 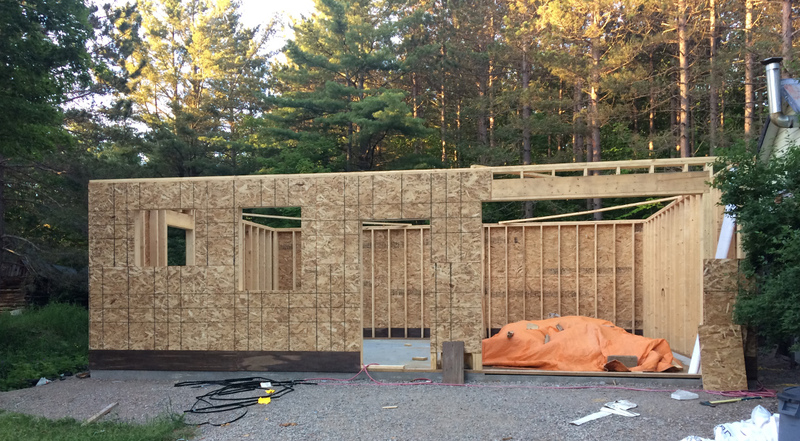 In early fall 2016 we decided to tear this down and build a new garage with the same footprint (24 x 30 ft). A lot of the wood was salvageable so we took most of it down by hand. We had talked to Rod from Rod Stevens Construction during the summer (we broached the subject very casually at a soccer game . . . our sons played on the same team) and he agreed to do the build for us starting in the spring of 2017. 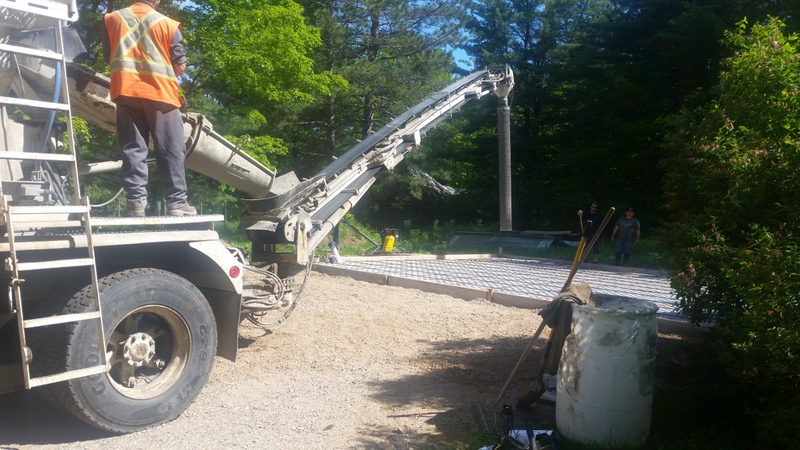 Before anything could be built, the ground needed to be prepared. 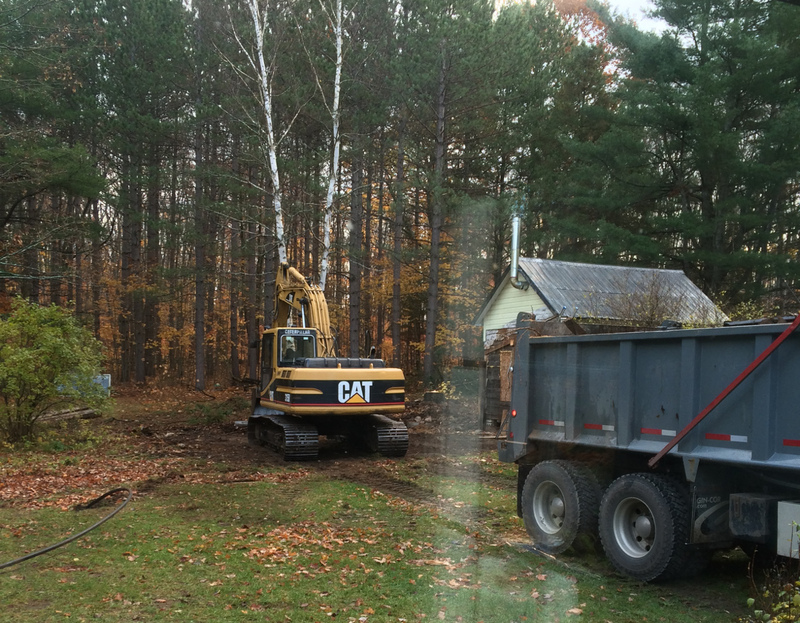 Gilbertson’s Enterprises Ltd. came in to build up and level the sloped ground. 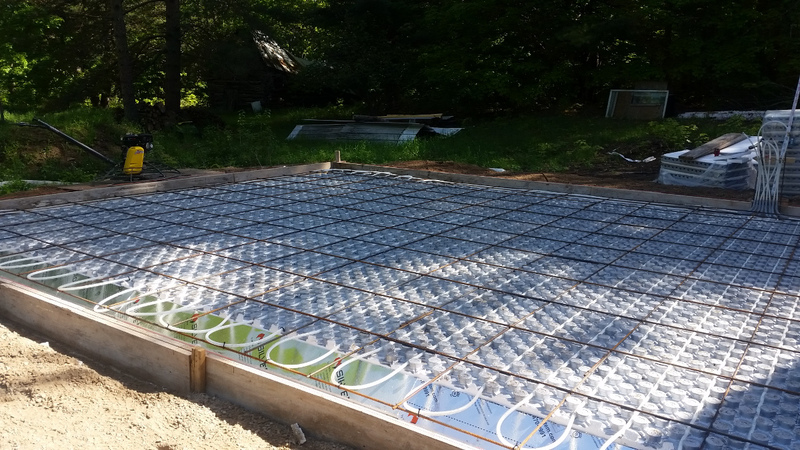 After the half load restriction was lifted the forms were laid and the cement was poured. 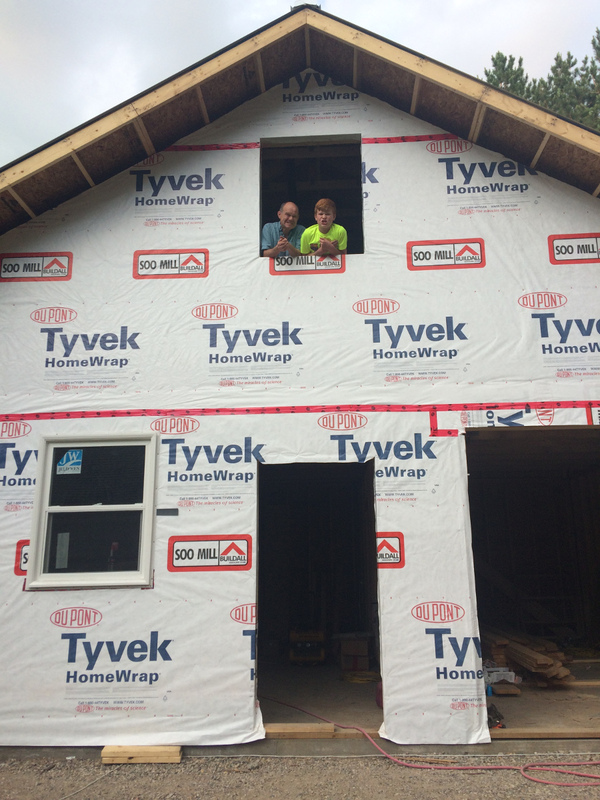 We were surprised at how fast the framing went up. Our new “Roasting Shack”. 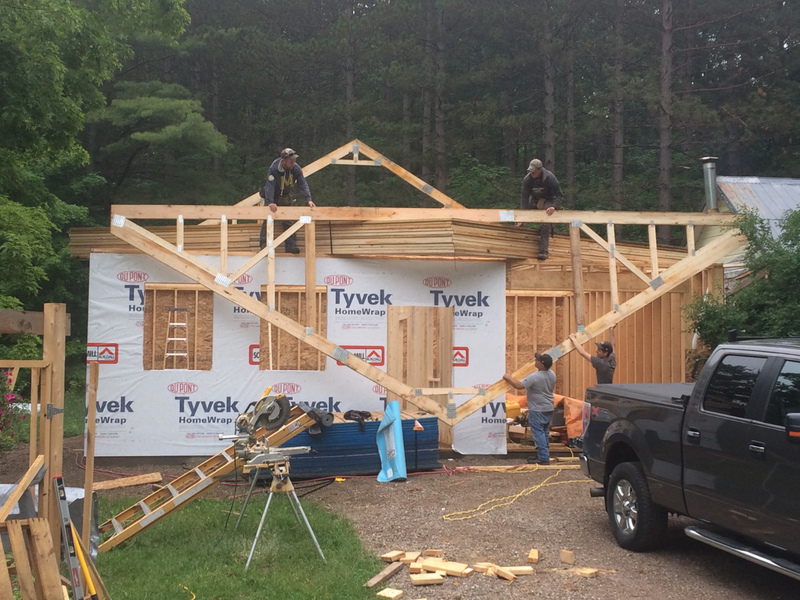 We officially moved production to the new “Roasting Shack” in early November 2017 (i.e. 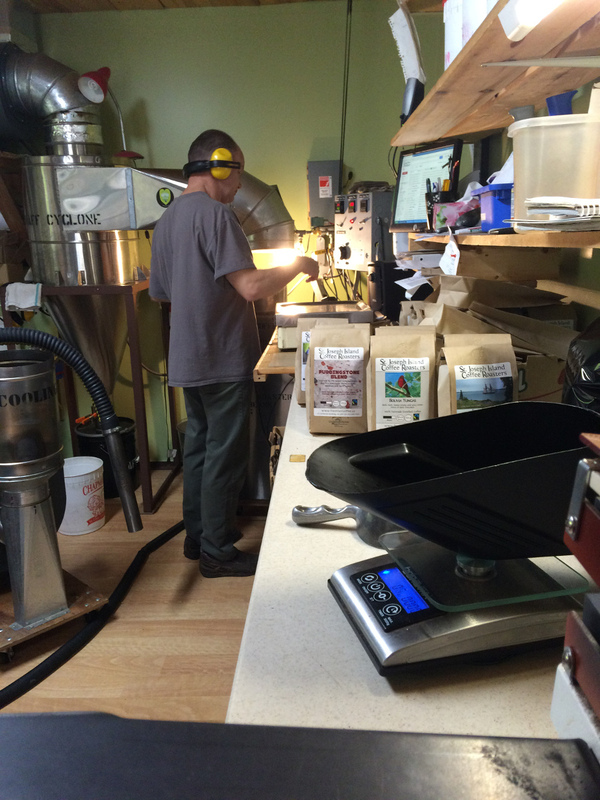 the Roaster was wired in the last week of October) and it feels great to have more space. Raining (or snowing!) on delivery day? No problem! We now have a proper shipping/receiving bay. We have storage up in the loft for the cups, lids and other complimentary items we provide to our wholesale customers. Once we get the rest of the shelves installed, we’ll be laughing. We appreciate you so much and we’re happy we can now we serve you even better! Congrats… the hard work is paying off. I’m actually drinking a Winter Solstice as I write this!! Thanks. Yes, we had heard that Vicky picked up some coffee at Shabby Motley at YAM. Hope you’re enjoying it! Wow!! What a project!! It looks great and will certainly be a great place to roast the beans. It’s going to be nine years in June. Hard to believe! Yes, we still call it the Roasting Shack. We tried out “The Roasterie” for a while, but it just didn’t feel right!